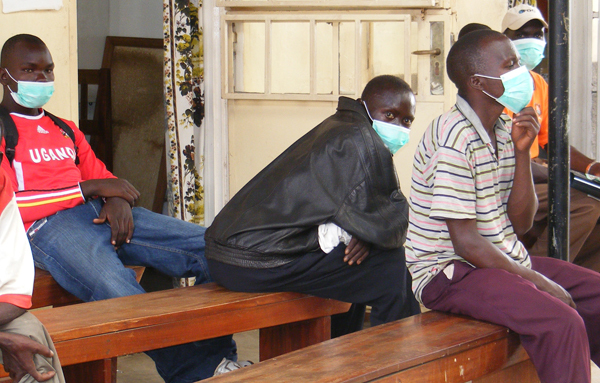 KAMPALA – Tuberculosis (TB) infections are “higher than thought”, with more than 89,000 Ugandans infected annually. Dr Jane Aceng, the minister of health said the infections demand an intensive TB testing and swift treatment to curb the contagious disease whose prevalence rate now stands at 253/100,000 compared to 159 per 100,000 in 2015 according to recent population TB survey. She explained at 89000 annual infections, the TB rate of infection now stands higher than that of HIV/Aids that stands at 60,000 annually. TB is a bacterial infection that attacks the lungs; acquired through droplets from the coughs or sneezes of an infected person. It is one of the top 10 causes of death worldwide and the standard symptoms of TB infection include a chronic cough with sputum containing blood, fever, night sweats and drastic weight loss. Dr Aceng warned of a looming crisis unless Uganda controls the 253 new HIV infections daily among its population. “The burden of TB is higher than we thought, there is need to plan to have a multi-sectoral approach to detect, diagnose the disease and treat immediately as well as put in more resources for TB,” Dr Aceng August 14. 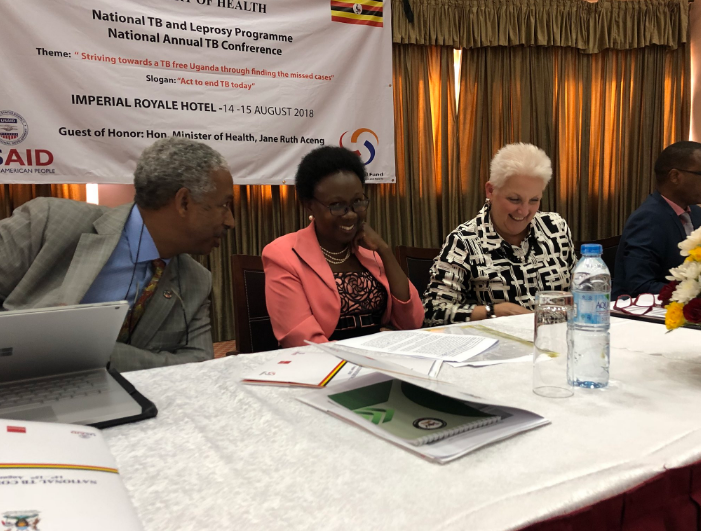 She was addressing an annual National Tuberculosis (TB) Stakeholder Conference at Imperial Royale Hotel organized by the ministry of health under the theme; “Striving towards a TB free Uganda through finding the missed cases”. She said with an incidence of 253/100,000 population and with a total of 89,000 new cases every year, it gives us an impression that over 70% of the Ugandans could be at risk of suffering from TB. She explained although about 89,000 TB patients have detected every year many patients remain undetected due to lack of awareness, poor health-seeking behaviour, inadequate diagnosis such as a limited capacity of health workers and lack of a patient-tracking mechanism. She revealed that the most vulnerable include people infected by HIV, those with a poor diet, those who consume excessive alcohol, those with long-term use of medications such as steroids, people with diabetes mellitus and smokers. Others are the young, the elderly as well as those who work in overcrowded and poor ventilated places. Ms Deborah Malac, the US ambassador to Uganda said the US government invests more than $500million annually in Uganda health sector, including the activities meant to strengthen national TB strategies and programmes. 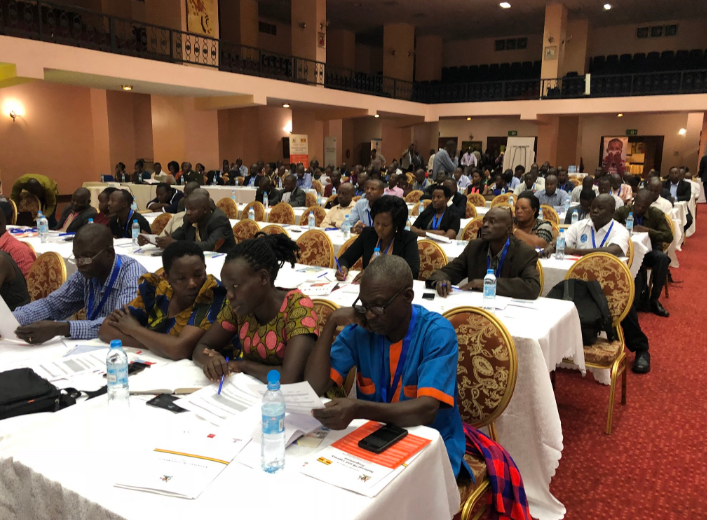 “But there are still problems of medication accessibility which should be addressed by the government of Uganda through domestic funding and government should craft policies that will help Uganda end the TB epidemic here for good,” said Ms Malac. She revealed that in the last six months by changing and improving processes at health facilities, their collaboration through ‘Defeat TB’has increased the number of new TB cases reported in the districts of Kampala, Wakiso and Mukono to 15%. She urged the stakeholders to expedite the implementation of reforms more effectively to address TB in Uganda and asked the government of Uganda to increase domestic funding for TB. “A health Uganda is ultimately a more stable and prosperous Uganda, together, we will work towards a Uganda free of TB,” said Ms Malac. The story of the airborne disease dates back to the ancient days of Egyptian mummies from 2400 BCE. During these days, the disease existed in the population. Information obtained from the website of the Global Tuberculosis Institute indicates that exact pathological and anatomical descriptions of the TB began to appear in the 17th century. In his Opera Medica of 1679, Sylvius was the first to identify actual tubercles as a consistent and characteristic change in the lungs and other areas of consumptive patients. He also described their progression to abscesses and cavities. The earliest references to the infectious nature of the disease appear in seventeenth-century Italian medical literature. It was in the colonial times, around 1882, when a German scientist known as Robert Koch isolated the germ that causes TB known as (Mycobacterium tuberculosis). He discovered a staining technique that enabled him to see the bacteria. The use of drugs came later in 1940 when one drug was used before there was resistance that led to the use of combined chemotherapy. According to Dr Frank Mugabe, the programme manager of the National TB and Leprosy Programme (NTLP), it is reported that in the 1960s, all diseases were managed by a robust Ministry of Health which collapsed around the 1970s. The NTLP was established in 1989 and slowly, the programme has extended to reach all districts. Dr Mugabe says more than 1,300 facilities, mainly hospitals, health centres IVs and IIIs diagnose and treat TB. The programme has since expanded taking on new challenges, including TB and HIV integrated services, which began in 2006.